LIQUIDATION EVENT!!! ACT NOW! 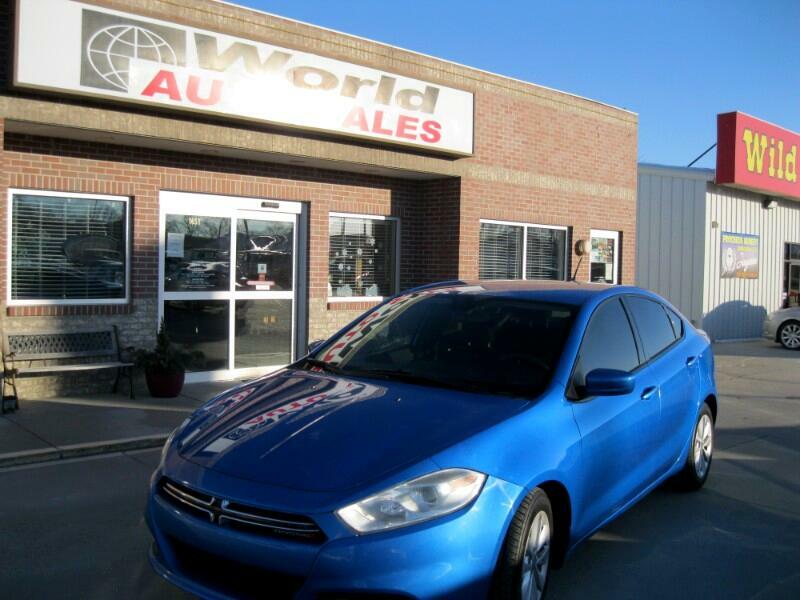 WAS $10,070.00 NOW $8,919.00 AutoWeek reports Dart has a lot going for it. Nominated to the Car and Driver 2014 Ten Best List. Consumer Guide 2014 credits Dart with a solid feeling body structure. Automobile Magazine calls Dodge Dart close to being an excellent compact car. 6-speaker audio system, air conditioning w/micron filter, Bluetooth connectivity, cloth seats, iPod control & remote USB port, lock on sync tire pressure monitors, manual driver seat, Parkview rear backup camera, power windows, rear window defroster, rearview day/night mirror, speed control, speed sensitive power door locks, steering wheel-mounted audio controls, tilt/telescoping steering column, Uconnect 8.4-inch touchscreen w/voice, active grille shutters, automatic headlamps, keyless entry w/panic alarm, parallel-action variable intermittent wipers, park/turn daytime-running lamps, power exterior mirrors, remote & power trunk lid release, speed sensitive wipers, electromechanical power steering, electronic stability control & traction control, hill start assist, tire pressure monitoring display, trailer sway damping, front inflatable knee-bolster airbag, front/side/side-curtain airbags, sentry key theft-deterrent system.